Labor disputes are, by design, disruptive to commerce. But they don’t have to be disastrous. By taking action well in advance of a contract’s expiration date, the worst can be avoided. The key is knowing what steps to take and when. J.R. Gettier & Associates, Inc. has the expertise you need to face any possible labor dispute calmly and confidently. Established in 1987 by James R. Gettier, the Company’s Special Operations Strike Force has helped some of the nations’ largest enterprises keep their businesses running smoothly and employees and property safe during more than 1,000 strikes. This level of experience makes J.R. Gettier & Associates your best ally before, during and after a labor crisis. When labor and management sit down at the bargaining table, it is supposed to be in good faith. It is assumed that an agreement will be reached. No one is thinking about a strike-but you should be. Pre-strike planning allows you to develop a logical tactical response to a labor action. This kind of pre-emptive preparation ensures that it will be business as usual no matter what. Key executives at J.R. Gettier & Associates, Inc. have responded to more than 1,700 labor disputes. They are well versed in the laws affecting strikes as well as the covert actions sometimes used and how to guard against them. This knowledge allows J.R. Gettier & Associates, Inc. to assess your needs, identify possible risks and put a thorough step-by-step plan together that leaves nothing to chance. Again, J.R. Gettier & Associates’ experience gives them the edge. In less time than it would take you to simply identify the top- level planning components, your J.R. Gettier & Associates, Inc. consultant can provide you with a complete analysis and tactical plan that you can trust for its thoroughness, foresight and ease of implementation. There is no guesswork. J.R. Gettier & Associates’ recommendations are backed by methods and resources that have been field tested and proven effective. The investment you make in pre-strike planning with J.R. Gettier & Associates, Inc. will pay dividends in peace-of-mind and productivity. In the time leading up to contract talks and throughout the negotiations, you and your team can concentrate on the work at hand, secure in the knowledge that you are prepared should the worst happen. And, in the event that a strike is called, J.R. Gettier & Associates, Inc. will apply the entire pre-strike planning fee to the cost of any strike security services provided. Whether or not you opt to work with J.R. Gettier & Associates, Inc. in developing a pre-strike plan, the company is at your service any time you face a labor dispute. With one phone call, J.R. Gettier & Associates, Inc. can mobilize a Special Operations Strike Force anywhere within the United States within 24 hours. 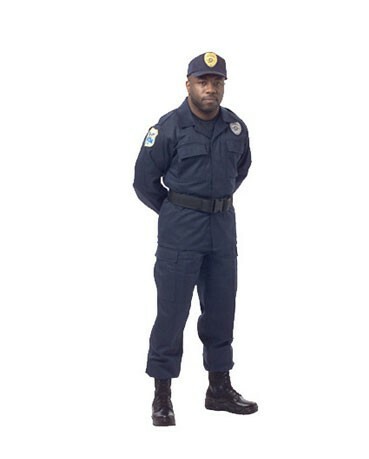 Your team will be comprised exclusively of professional, licensed security personnel – all of whom possess either prior U.S. Armed Forces or law enforcement experience. Once on site, your J.R. Gettier & Associates, Inc. Special Operations team quickly assesses the situation, identifies your security needs and acts to address them. The goal is to blend seamlessly into your environment so as not to agitate hostilities while also presenting an effective line of defense as a deterrent to violence, confrontation, or sabotage. It is a delicate balance. Achieving it requires extensive experience, training, and most importantly, quality people of the highest moral character. Every J.R. Gettier & Associates, Inc. Special Operations officer must pass a rigorous series of evaluations prior to employment, receives extensive and ongoing training once hired, and are physically fit. When you choose J.R. Gettier & Associates, Inc., you are choosing the best of the best. 24-hours perimeter protection-Ensures the safety and security of your physical plant and other property. Picket line surveillance using state-of-the art equipment to gather evidence for injunctions, J.R. Gettier & Associates, Inc. can also provide affidavits and are available to testify in court as needed. Security escorts for management–provides personal protection for key management targets as needed, either to and from work, around the clock, or anything in between. “Safe Passage” patrols, including nail sweeps of roadways and parking lots–Ensure non-striking employees, raw materials, finished goods vendors and customers are able to move freely into and out of your facility without fear or consequence. Employees education–Knowing what to do or not to do during a strike is an important advantage. J.R. Gettier & Associates, Inc. is available to conduct informative strike education sessions with your employees. These meetings are an ideal way to maintain morale and ensure workers feel confident that their safety is an important management concern. J.R. Gettier & Associates, Inc. was founded on a philosophy of honesty and integrity. Its mission is to protect you, your company’s assets, people, public image and profitability from the disruptive forces of a labor dispute. To achieve this J.R. Gettier & Associates, Inc. employs its vast knowledge of tactical experience backed by a carefully selected team of top-notch professionals. It also means using your resources wisely. No mark-up on billable expenses such as airfare and lodging – All expenses, including travel, are billed to your company at cost. J.R. Gettier & Associates, Inc. does not add administrative fees or other mark-ups to its expense invoices. Economical rates – J.R. Gettier & Associates, Inc. is cost conscientious. Whenever possible, airfares, hotels and other expenses are booked at the most economical rates. Make the call for better labor dispute security. For more information, a comprehensive proposal and a free strike planning guide, call J.R. Gettier & Associates, Inc. today at 877-869-0768. Copyright © 2019, www.gettier.com. All Rights Reserved.